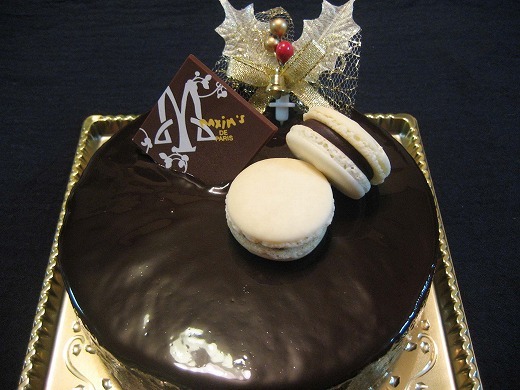 This is a Chocolate Cake for Christmas from MAXIMS DE PARIS. 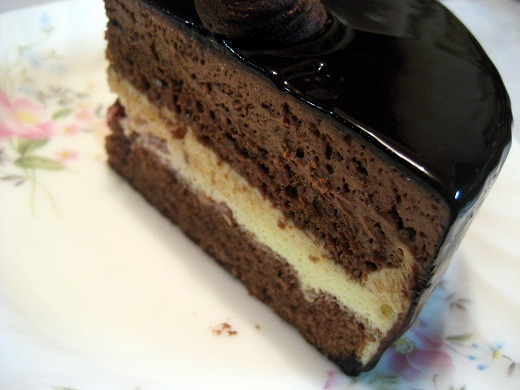 Moist and rich chocolate cake is covered with a sensuous velvety chocolate glaze. So rich and so tasty! o.o!!! omg that looks sooo yummy, ill go look for some chocolate cake now!!! Yours looks soooo delicious! I got mine from Bel Amer because I wanted a santa on top, but next year, I definitely will go for a cake like this.